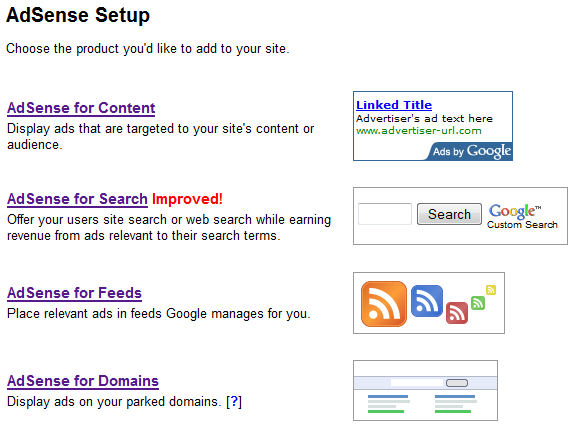 Have in mind that the AdShare plugin requires WordPress version 2.7+ so your blog’s software should be up to date. After you upload and activate the plugin you’ll have to configure it going to Settings / AdShare. You’ll just have to define the default AdSense ID that will be used when an author cannot be determined – this should be your ID as the owner/creator of the blog. Then you need to enter the AdSense IDs for all your authors usernames and as the tird and last option you can choose to support the plugin by showing ADs with the plugin author’s AdSense ID. If you activate the support option about 2% of all show Google ADs will be to support the author so he’ll be able to continue to develop the plugin, but you are not required to. When you configured all the IDs in the settings of the plugin you’ll need to modify your Blog’s template and to be more exact the Google AdSense code that you might’ve already placed or are going to insert. You need to change only the google_ad_client variable from it’s static value with a dynamic one that will be different according to the circumstances. Google AdSense is a fast and easy way for website publishers to display relevant, unobtrusive Google ads on their website’s content pages and earn money from the people viewing and clicking on the ads. Because the ads are related to what your users are looking for on your site, you’ll finally have a way to both monetize and enhance your content pages. With the help of Google AdSense you can also provide Google search to your website or blog visitors, and earn money by displaying Google ads on the search results pages. With AdSense you can also display targeted ads in your blog’s RSS feed so that even the readers of the feed will generate you some revenue. Recently the AdSense program evens tarted offering an option to display Google ads on your parked domains so that you may earn from the traffic they get even without having a website or blog available there yet. The Google AdSense program is free, and combines pay-per-click and pay-per-impression advertising – meaning you get paid for valid clicks on the ads on your site or search results pages as well as impressions on your content pages. Google AdSense supports publishers in several different languages. Applications for participation in the program can be for sites with content primarily in: Arabic, Hungarian, Bulgarian, Italian, Chinese (simplified or traditional), Japanese, Korean, Croatian, Norwegian, Czech, Polish, Danish, Portuguese, Dutch, Romanian, English, Russian, Finnish, Serbian, French, Slovak, German, Spanish, Greek, Swedish, Hebrew, Thai and Turkish. In addition, AdSense for search is available in Indonesian and Vietnamese, but these languages are not supported for AdSense for content pages. The minimum sum you have to accumulate in your account is $100 or €70 in order for you to be payed or in other words to receive the funds you’ve earned from Google AdSense. However you should know that you won’t get payed the exact moment the zeroes roll over. First your earnings have to be validated for accuracy – a process that takes place the first week of every month on the previous month’s earnings. Then a couple of weeks later you’ll get your payment sent, usually during the last week of the month. Or with other words you get payed each month, but not what you earned the last month that just ended, but for the one before that. This means that you will not receive a payment on your first month after joining AdSense even if you reach the minimum, but instead you’ll get the payment in the following month. Depending on where you live and your personal preferences you might be able to get your payment by check, by Electronic Funds Transfer (EFT), by Western Union Quick Cash or by Rapida.